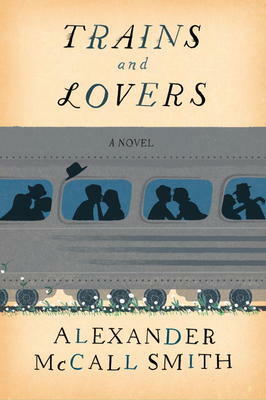 Trains have always had a romance about them, and Alexander McCall Smith explores it in his latest book. We have come to love McCall Smith for the characters he has created in his beloved series, i.e. : the No. 1 Ladies Detective Agency, the Isabel Dalhousie series, the Portuguese Irregular Verbs, the 44 Scotland Street series and the Corduroy Mansions series. Sure enough, as the train winds down the North Sea and then dips inland, each of the passengers tells bits of his or her life through incidents of a love affair. The men are Scots, English and American; the woman came from Perth, Australia. As they rock down to London, McCall Smith shows how the train brings out that part of us that outweighs any other – our need for love – to give it and to receive it in that familiar battle that all of us fight with loneliness. “The Scotsman” calls Trains and Lovers the best thing McCall Smith has written so far.